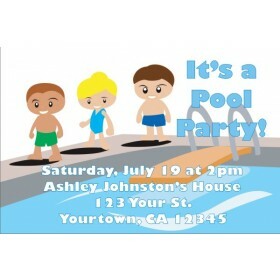 Pool Party Invitations 4. 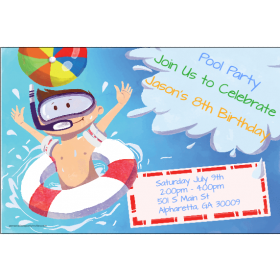 Have fun in the sun with our selection of Pool Party invitation designs. 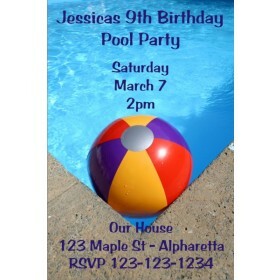 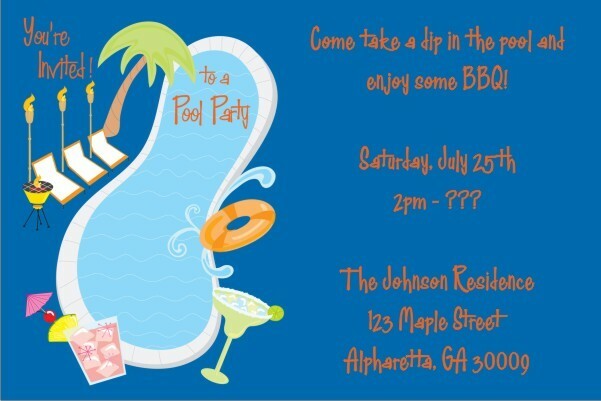 This invitation features a pool and pool party gear on the left side. 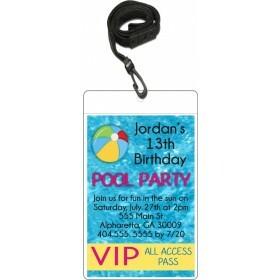 The left side features the party information.